My 1.5 year old son is wearing this Dwight costume from the show The Office. 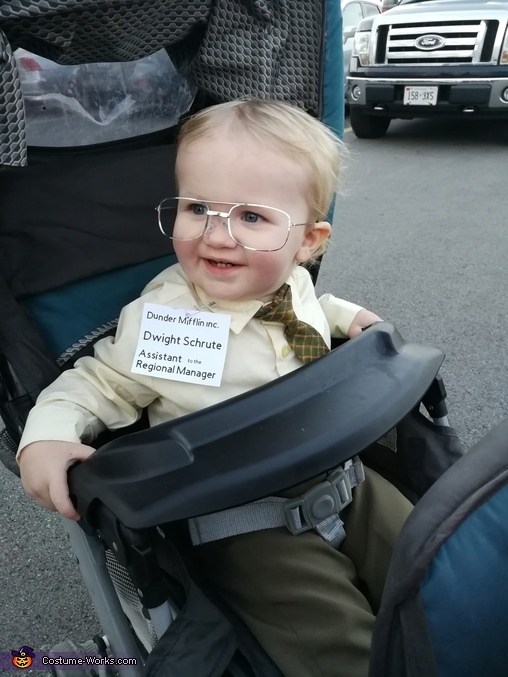 It is my absolute favourite show so I knew it would be a perfect costume for my blonde haired son, who is happy and adorable ...the opposite of Dwight. I already owner the shirt and pants, so I just bought glasses at the dollar store and made the name tag. Maybe $4 total cost.